A Note from Chris Adams: Experienced ministry leaders know that each new week brings a variety of prayer requests vocalized by those entrusted to our leadership. All of us would agree it’s important to intercede on behalf of those we lead and many of us have seen extraordinary answers to prayer. You will be blessed by reading this post by guest writer, Susan Hill. These are some great prayers to use as you spend time praying for those you serve and lead. How often are we praying for the spiritual growth of those we lead? Are we praying as fervently for our people’s spiritual maturity as we are their temporal circumstances? Are we seeing those we lead grow in their relationship with Christ? “I pray that the God of our Lord Jesus Christ, the glorious Father, would give you a spirit of wisdom and revelation in the knowledge of Him” (Ephesians 1:17). “And I pray this: that your love will keep on growing in knowledge and every kind of discernment” (Philippians 1:9). “For this reason also, since the day we heard this, we haven’t stopped praying for you. We are asking that you may be filled with the knowledge of His will in all wisdom and spiritual understanding” (Colossians 1:9). “And in view of this, we always pray for you that our God will consider you worthy of His calling, and will, by His power, fulfill every desire for goodness and the work of faith” (2 Thessalonians 1:11). In biblical community it is both appropriate and necessary to pray for one another’s temporal circumstances. However, as leaders we will be wise if we look to Paul to gain insight into how he prayed for those entrusted to his spiritual leadership. Moreover, we must always be mindful that any fruit produced in our ministry is dependent on prayer. Consider what could happen if we committed to spending intentional time in prayer for those God has entrusted to our leadership. Spiritual growth is dependent on prayer. While it’s important to pray for good test results, approved mortgages, traveling mercies, and a variety of other requests, it’s crucial we pray for the spiritual growth of those we are called to serve. Let’s be leaders who are committed to praying for those we lead. 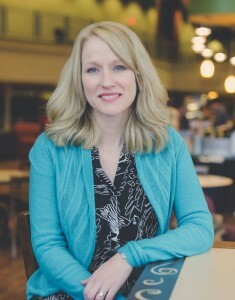 Susan Hill is a women’s Bible teacher and freelance writer. She writes regularly at susanhillblogs.com and just released an e-book, 31 Days of Prayer for Spiritual Growth. She holds degrees from Liberty Baptist Theological Seminary and Middle Tennessee State University. She lives near Nashville with her husband, John.